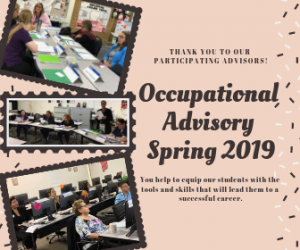 The School of Career Education would like to thank our community advisors for taking the time to come to our campus and participate in our Occupational Advisory meeting this month. The purpose of these meetings is to give insight to our instructors in regards to the best ways to improve our program and the overall success of our students. Advisors were able to discuss class promotion, the curriculum outline, labor market information and the things they desire in a quality intern and employee. We appreciate all of our community advisors here in Indio and we look forward to having them back at our Institutional Advisory in May! And visit our SCE News page for all archived news posts and eNewsletters. 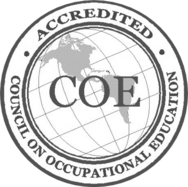 © 2017 School of Career Education - Powered by RCOE All rights reserved.